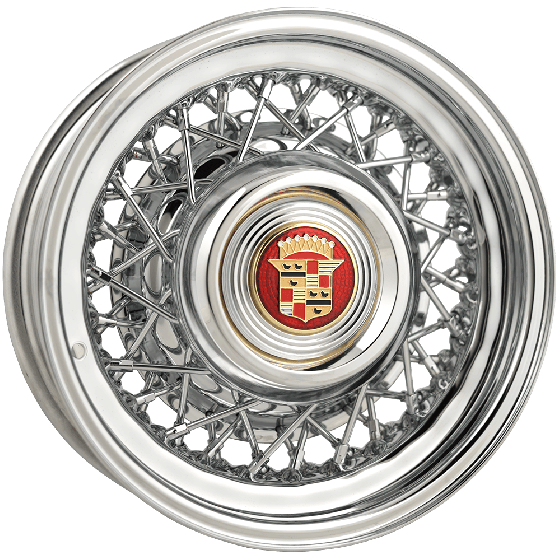 For Cadillacs from 1940 through 1976, Cadillac Wire wheels have 5 x 5 inch single bolt pattern with either 3 or 3 3/4 inch backspacing. These wheels are for rear wheel drive cars only. The Cadillac Wire wheel features 48 stainless steel spokes and is sealed for tubeless use. Purchase the optional Cadillac Wire Cap to complete the package. Are the caps for 59 Caddy wire wheels metal or plastic? These caps are metal, except for the center emblem of course, which is plastic. 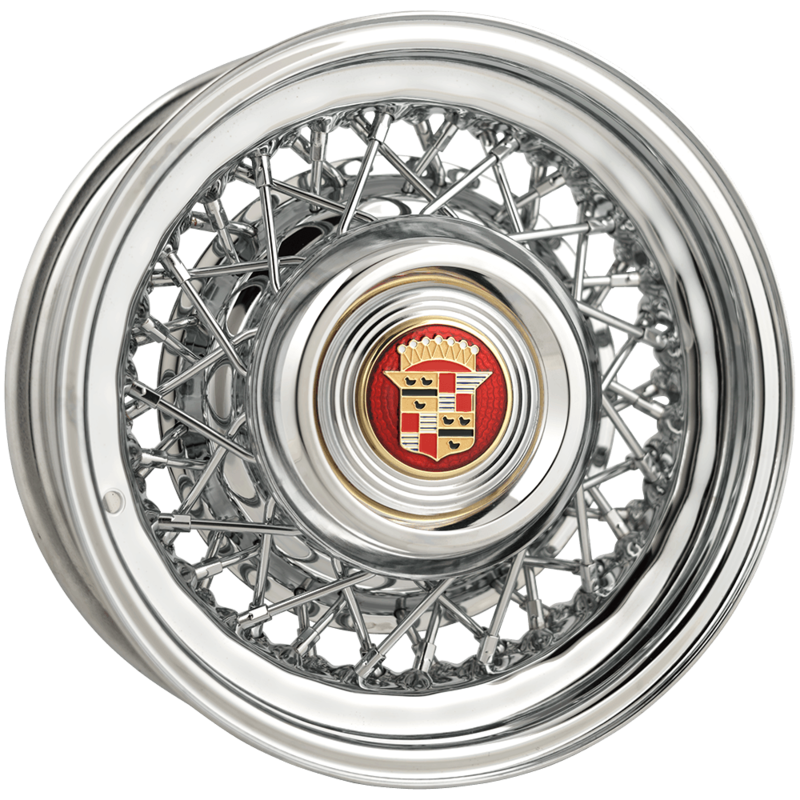 Do you produce a cadillac wheel for front wheel drive vehicles? There is not a front wheel drive Cadillac wheel available at this time.